I was raised that if you are not 15 minutes early to something, then you are late. 9:59am to a 10:00 meeting does not constitute being on time. That is late. And forget 10 minutes late. Not an option. But that was 22 years ago, before a husband and three kids were thrown into the loop. That, my friend, changes everything. So it is of no surprise to people that know me that I am just now really getting on Facebook. In my defense, I’ve had a personal account for a year and a half. And I’ve been on Twitter for over a year. So I’m not a complete social media recluse. Only in the area of the largest social media platfom out there. Ok, saying it that way sounds bad. But all that aside, I’m out there. Livin’ large. I’m “The Sugar Tree”. 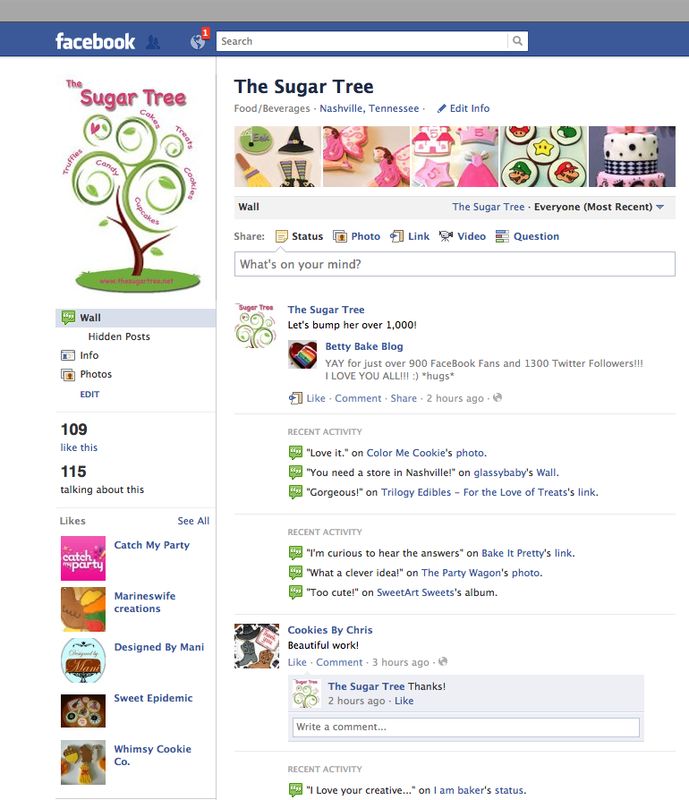 Not to be confused with the other Sugar Tree. Apparently there are 2 of us. But she’s in Canada and I’m in Tennessee, so we have totally different twangs. I’m also still on Twitter. @TheSugarTree. And unlike here, apparently, I actually post stuff there. It’s revolutionary, I know.